Government Attaches Deputy Commissioner Udhampur after objectionable Pictures Goes Viral……. The Jammu and Kashmir Government has attached Deputy Commissioner Udhampur, Niraj Kumar after his pictures went viral in which he can be seen in an objectionable position with two women. “Pending enquiry into his conduct, Niraj Kumar, DC Udhampur is hereby attached in the office of Divisional Commissioner Jammu,” an order issued by the Government reads. Forest land Transfer Approved by Cabinet for Developmental Activities……….. The Cabinet which met here today under the chairpersonship of Chief Minister Mehbooba Mufti, approved transfer of around 94.67 hectares of forest land in various parts of the State for undertaking developmental activities in the respective areas. The transfer of forest land has been approved in pursuance to the recommendations of the 98th Forest Advisory Committee meeting held on 09-06-2017 under the chairpersonship of the Chief Secretary. The Cabinet also approved transfer of 4 kanals of JDA land at Bahu, Jammu to the Government of India on lease basis for a period of 40 years for establishment of CISF Transit Camp. 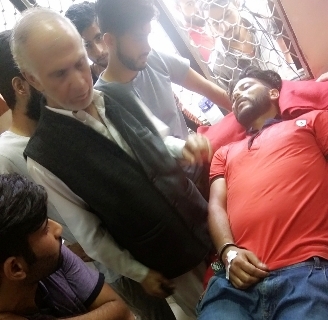 Union President of Bhaderwah beaten by Cops, Massive Protests, inquiry ordered in that Case……….. Protests erupted in Bhaderwah town of Jammu and Kashmir after policemen beat up a Union President with gun butts before bundling him into a van. The incident triggered massive protests and spontaneous shutdown in the town with protesters blocking the road near Jamia Masjid Chowk amid anti-police slogans. The protesters surrounded the police vehicles while demanding that senior officers take immediate action against the erring police officer. Later, MLA Bhaderwah Dalip Singh Parihar reached at the spot and pacified the protestors. He said that an inquiry has been ordered into the incident. “I have asked the Senior Superintendent of Police Doda to conduct a detailed probe and submit a report, based on which action will be taken,” he said. Ganai, who has been admitted at Sub District Hospital Bhadarwah, is being treated for multiple injuries including injured ribs. “I was in total shock when without any provocative cops suddenly pounced on me and started beating me with rifle butts and dragged me into the gypsy,” said Ganai. SDPO Bhadarwah Brijesh Sharma said that Ganai tried to push him after misbehaving with traffic police cop. “Mohsin Ganai was misbehaving with the traffic cop who was trying to manage traffic at busy Takiya Chowk, when I tried to intervene and asked him about his behavior, he even tried to push me,” alleged the police officer. Two Lady Passengers were Arrested from Mumbai Airport with Smuggled Gold worth 1.2 Crore Rs…………. On Specific information the officers of AIU, CSI Airport, Mumbai intercepted two lady passengers namely Mrs. Santaletchmi Superamaniam (41), a Malaysian national and Mrs. Magisvary Jairaman (59), a Singaporean national who arrived from Singapore by the Jet Airways flight # 9W 009 at 3:00 pm. 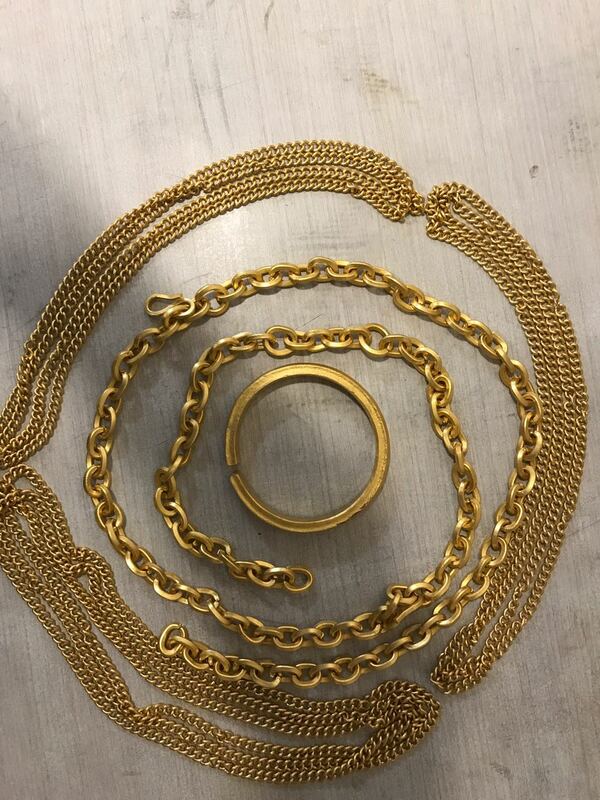 Personal search of the said passengers resulted into the recovery of assorted 24 carat crude gold jewellery collectively weighing 4 Kg valued at Rs. 1,20,00,000. The said gold jewellery including chains and kadas were cleverly concealed by the said passengers on their waist and on their hand above the elbow so as to avoid Customs check/ detection. The recovered gold jewellery was seized and both the passengers were arrested. Further, one of their accomplice who was waiting outside the Airport to receive the said 2 lady passengers and the smuggled gold, was also intercepted and arrested. All of them were produced before the Hon’ble CMM Court, Mumbai with their remand application. 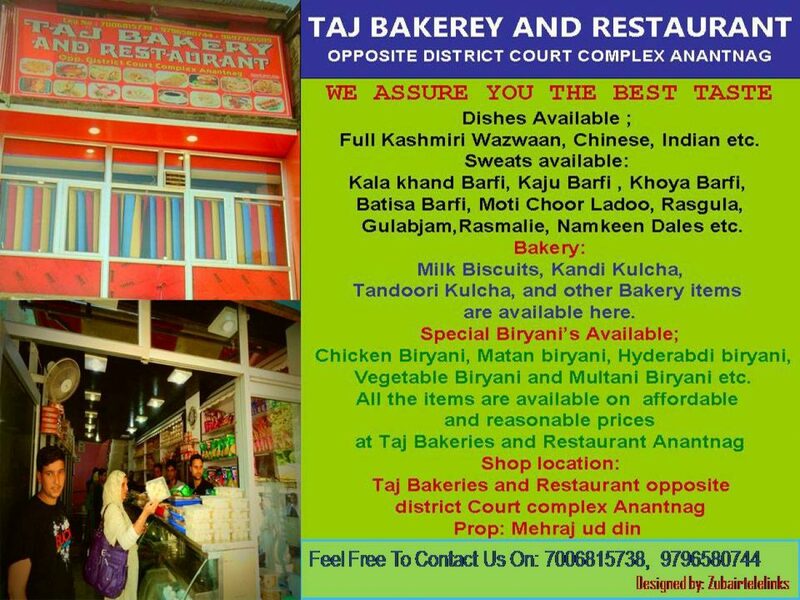 The said Hon’ble Court sent them on judicial custody in city jail. No change in policy on Jammu and Kashmir: United States…….. The United States officials have said that there has been inconsistency in the American description of Jammu and Kashmir, but insisted there was no change in its policy saying the “pace, scope and character” of any discussion on Kashmir is for India and Pakistan to determine. “Our policy on Kashmir has not changed,” a State Department spokesperson was quoted by a news gathering agency. The clarification came after questions were raised about the different ways the US has described Jammu and Kashmir. Recently in one of its statements, the US described it as “Indian administered Jammu and Kashmir” and this week it said the “Indian State of Jammu and Kashmir”. 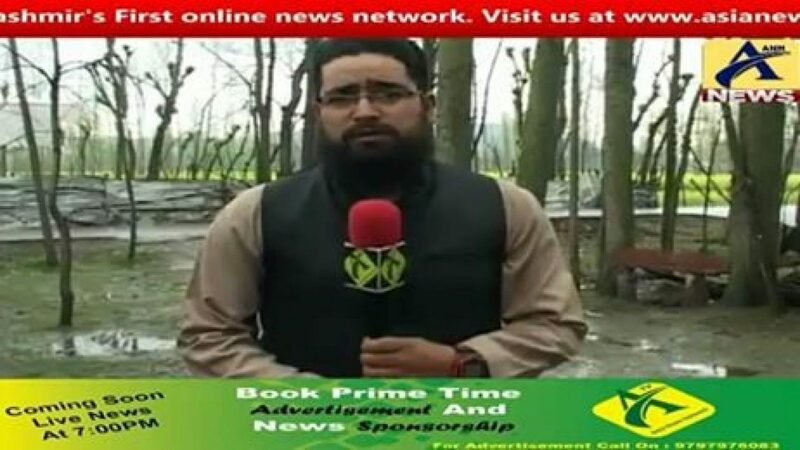 In June while designating Pakistan-based Hizbul Mujahideen chief Syed Salahuddin as a “specially-designated global terrorist”, the State Department had said the militant group has claimed responsibility for several attacks, including the April 2014 attack in “Indian-administered Jammu and Kashmir”. India, however, had played down the nomenclature by the US, saying similar terms had been used previously too. In the past, the US had also used “India-held Kashmir”. In the latest “Country Report on Terrorism 2016”, released on Wednesday, the US used “Azad Jammu and Kashmir” to describe Pakistan-administered Kashmir. Two held for Uri blind murder case: Police……..
Police has solved the blind murder case after it arrested two people involved in the crime in Uri area of Baramulla District. On 03/07/2017, Police Station Uri received a phone call that the body of 15 years old Maqsood Ahmad Khanday son of Mohammad Zameer Khanday a resident of Sikki Madiyan Kamalkote was lying in the pool of blood near LoC in the outskirts of Madiyan village. On this information a police party of Kamlkote reached the spot and took the body in possession. The police party also collected necessary evidence, prepared site plan and recorded the statements of some locals who were present on spot. As per the locals, the deceased was missing from his home since 02/07/2017. Subsequently, the body of deceased was brought to Sub-District Hospital Uri for medico legal formalities and after medico legal formalities was handed over to the legal heirs for last rites. In this regard, a case FIR No. 42/2017 under section 302, 34 RPC was registered in Police station Uri and investigation was taken up. The investigating team rounded up number of suspected persons of the area for questioning on the bases of collected evidences. After the strenuous efforts put by SDPO Uri, Syed Javid Ahmad, SHO police station Uri Tabraiz Ahmad and its men the case was cracked and two people involved in the crime were arrested. They have been identified as Munir Ahmad Sheikh son of Alif Din Sheikh and Mohammad Rafi Sheikh son of Mohammad Shafi Sheikh both resident of Madiyan Kamalkote. The motive behind the murder has been found to be a prolonged domestic dispute between accused and deceased. Further investigation into the matter is going on. One Dead, 22 Injured In Bus-Truck Collision At Jammu-Pathankot Highway………. At least one person was killed and 22 others injured when a bus collided with a truck at Jammu-Pathankot highway on Friday. The rescue team, along with the police, has reached the spot. The injured have been rushed to the nearby hospital. Further details are awaited. (PTK). Two Youth Arrested In Jammu For Possession Of Drugs……. Two youths were reportedly arrested with contraband of heroin worth crores in outskirts of Jammu. “Police during checking of car at Nakka near Toll Plaza , heroin weighing around 14 to 15 kg was seized. Police said two persons were arrested.